How new TV shows are discovered online by television audiences in the United Kingdom broken down by age and gender. How new TV series are discovered offline by television audiences in the United Kingdom broken down by age and gender. How audience engagement drives demand for digital streaming television series in the United Kingdom. We are pleased to reveal the following findings of our comprehensive study. Online word of mouth via social media is the leading source of discovering new content, with about 44% of people using it. While people aged 18 to 24 are more likely to discover new TV shows using peer-to-peer networks, people aged 25 to 34 are more likely to go to reviews or ratings websites instead. 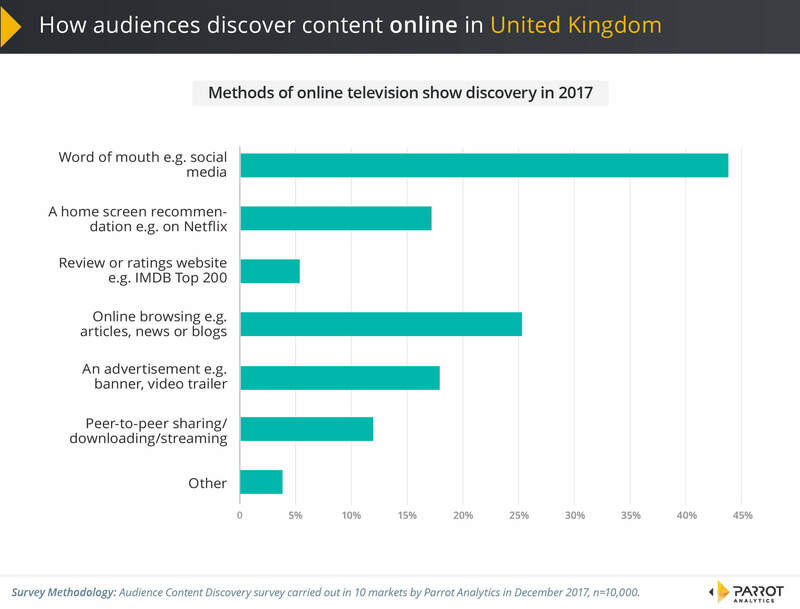 For offline content discovery, the study found in the United Kingdom word of mouth is the most common method by which people discover new content, but both television adverts and listings or guides were used by nearly 30% of people. People aged 55 to 64 are most likely to find new shows from reviews in magazines or newspapers. 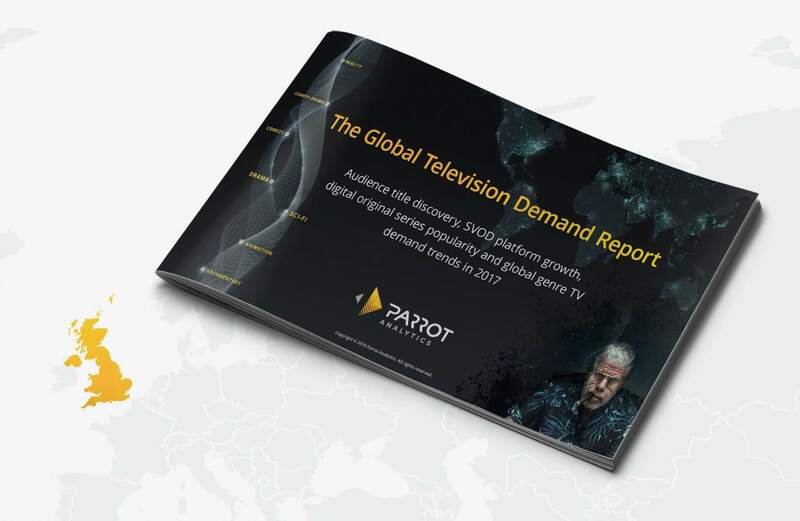 Please download the full 65 page report here, which also includes data and analysis for 9 other countries: United Kingdom TV Report – OTT Market Share and Audience Preferences.